Mom is gone to work and I am alive and well. 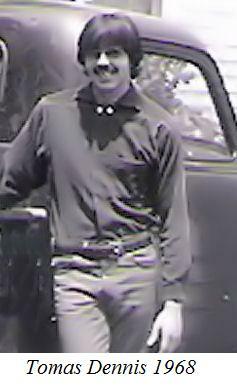 It may not have been so back in 1958 when I was in NAVAL Boot Camp in San Diego, California. Our Company Commander came up to me and said, "Your sick report to sick bay!" I reported to sick bay and they said that I had bronchitis and could not finish boot camp until it was cleared up. They gave me shots in my rear and laid me over a bed so that my hips were on the bed but my shoulders and head were hanging over into a paper sack in a trash can. I coughed and spit up gobs of goo from my lungs. I did this daily until it cleared up and the doctors felt I was fine. I was released from sick bay a week after my arrival and placed in another company after another week. I did my tour of duty in the military and was released before the date of my 21st birthday ( kiddie cruise, go in before you are 18 and get out the day before you turn 21). I went home to La Puente but could not handle the smog because it burned my eyes so I went to San Jose where I had a friend who I had met in the Navy. California air today is much cleaner than when I grew up in the San Gabriel Valley at the foothills of the San Gabriel Mountains (1941-1958). 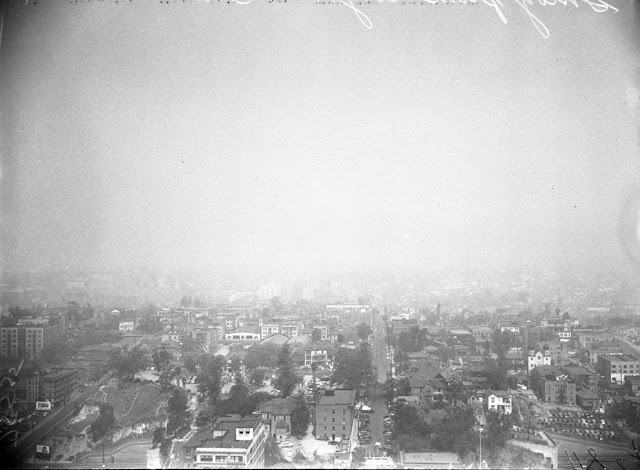 Here is a photo of the smog I grew up with. What does Kentucky Senator Rand Paul know about pollution?